Graham Doyle; Craig McCabe, Gary Delaney, Stephen Last, Lee Grace; Aidan Friel (Aidan Keenan 61), Jonny Bonner, Chris Kenny (Shane Dempsey 83, Shane Dunne (Conor O'Keeffe 77); Andy Mulligan; Danny Furlong. Brendan Clarke; Ger O'Brien, Sean Hoare, Darren Dennehy, Ian Birmingham; Keith Treacy, Graham Kelly (Sam Verdon 87); Conan Byrne, Mark Timlin (Steven Kinsella 83), Billy Dennehy; Christy Fagan. Ian Bermingham got St Patrick's Athletic back to winning ways in the league with a delightfully taken first-half winner as Saints beat Wexford Youths at Ferrycarrig Park. Though they dominated for good spells, St Pat's had to endure a nervous finish as they held on for victory to end a run of four straight league defeats. 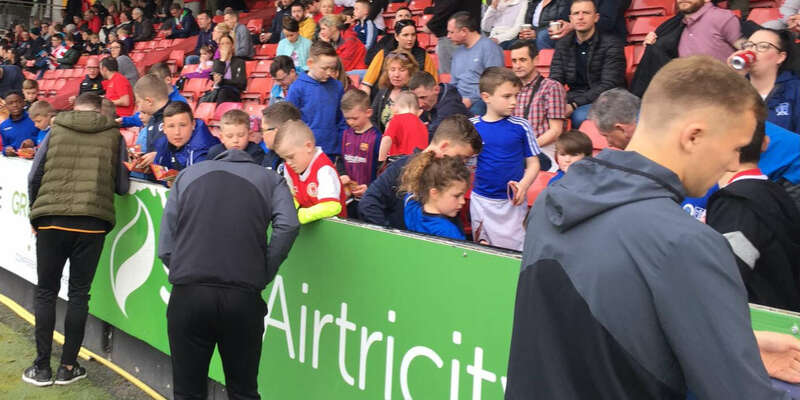 While Youths had played at Finn Harps on Friday night, it was no surprise that Pat's, playing their first game in 11 days, looked much fresher as they duly dominated the first half. After a sluggish opening, Saints' Graham Kelly brought the game to life in the gloomy drizzle after four minutes, his shot from distance deflecting off Gary Delaney for the first corner of the game. Kelly was there again minutes later to force the first save of the game. St Pat's skipper Ger O'Brien's diagonal ball from the right found midfielder Kelly whose looping header had to be tipped over the bar by Graham Doyle. Kelly then started a move deep in his own half which involved O'Brien and Conan Byrne, who crossed for Mark Timlin to bring a second decent save from Doyle with a header five minutes later. 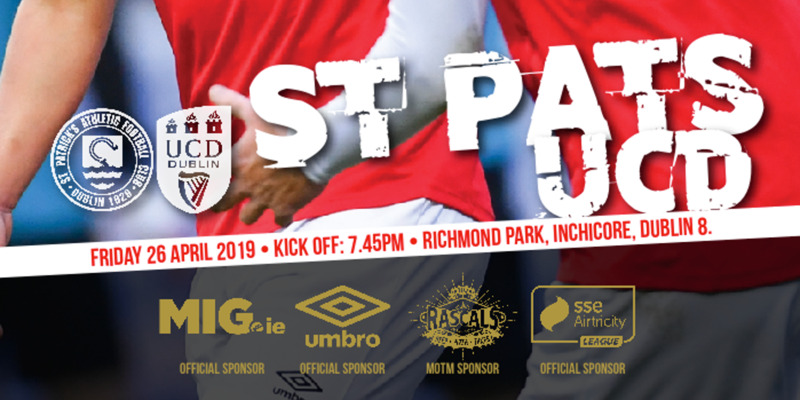 St Pat's remained well in control of the game, punishing sloppy Youths play to take a deserved lead after 27 minutes, for what would prove the winner. 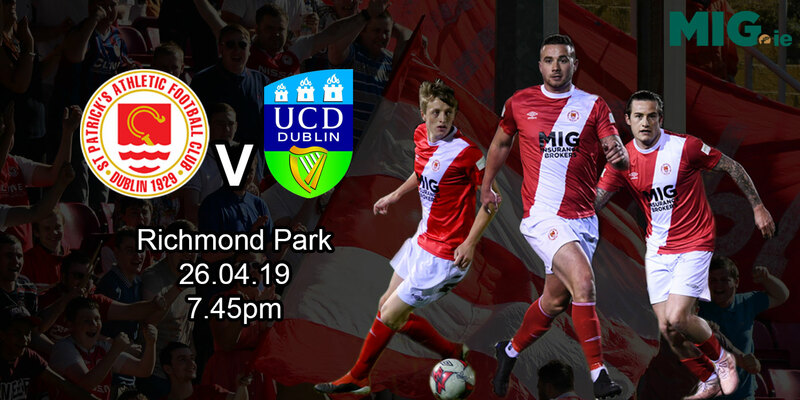 The home side gave the ball away cheaply in the middle of the park and St Pat's left-back Bermingham latched onto it, surged forward to work a one-two with Christy Fagan before showing the composure of a striker to calmly side-foot to the corner of the net. Having saved from Fagan and Byrne before the break, Doyle produced the save of the game after 75 minutes, diving full stretch to his left to push Billy Dennehy's strike out for a corner. Youths came alive as they chased the game late on with Danny Furlong not far over the top with a spectacular overhead kick from substitute Conor O'Keeffe's right-flank delivery. Darren Dennehy then had to clear off the line from Furlong's shot, before, right on 90 minutes, Andy Mulligan headed just wide following Furlong's left wing cross.